Group Lessons with us is where a large group of people are taking the class together. There is two instructors per class showing the movements and steps it takes to achieve the figures. The male instructor breaks down the lead step and the female instructor the follow steps. The first part of the class is solo facing the mirrors and the second half is where we partner everyone up. We form a circle around the room where the instructors are in the middle for visibility and we start to drill the lesson learned. During class we rotate the girls in most cases just so everyone can meet and get to dance with everybody in class. This is a perfect opportunity for quick introduction and make new friends. We try our best to make your learning experience fun and hope you distress and forget about the daily grind routine of life. We have classes back to back for convenience between 7-9PM. Salsa begins at 7PM and Bachata at 8PM. This holds true through all the levels as well. Help yourself to one of the complimentary lockers onsite to place your belonging during class. If you have any questions what to wear check out our Frequently Asked Questions page for assistance. Click here to see when is the next group class scheduled and SIGN UP! It is never too late to start dancing, don’t put it off another day! We always recommend one private lesson before your group classes. It will help you feel more confident and you will enjoy our group classes much more. After your private lesson, a group class feels like a review of your one on one lesson with instructor. Dancing is training muscle memory, repetition of the movement plays a major role in learning the movements of dance and rhythms! Private Lessons, the fastest track to the dance floor and meeting your dancing goals. Correct the mistake as it happens, most common problems start because you do the step wrong and you practice the wrong thing, this is also known as creating bad habits. On the contrary, when you get to correct the mistake as it happens your improvement is unprecedented. Learning and enjoying your dancing journey is achieved through Private Lessons and Group Classes combined. 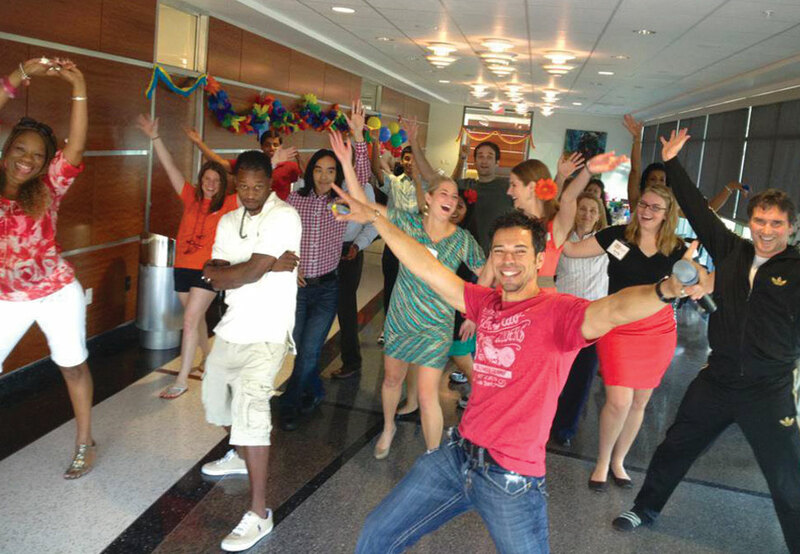 The last step to achieving the maximum dance experience is putting to practice what you’re learning not just in class but at a social event such us one of our Dance Socials that we host weekly or Latin Dance Club in Dallas. A Private Lessons with a trained dance instructor where you learn to lead or follow will be full hands on. These classes are designed and tailored to your specific needs. We can work on musicality, timing, lead, follow, spins or what ever we feel you need the most to achieve your goals. Each lesson is approximately 60min where the first part of the hour is a fun warm up and drills. Another advantage to private lessons is the flexible scheduling opportunities. We work around your busy schedule to have these one our classes. We are able to meet any time throughout the day on weekdays or weekends. Once you are signed up and ready to go, we suggest to do a max of 3 classes a week. Booking your classes is easy, you can do it in person, phone, text, facebook or the preferred and most favorite method is online with your cell. You can buy and schedule lessons at your finger tips. That’s right you can do it all on your phone! 3 Easy steps: 1) select date on calendar 2) pick a time 3) choose method of payment. Believe it or not dancing is not hard, with inexperience we complicate even the most simple and natural movements we know and are accustomed to doing subconsciously alredy. Performing has more benefits than you can imagine. Here is what we hear all the time, I get too nervous on stage, I am not a performer and not interested in performing, I’ll do it for the training but I’m not performing. All valid reasons but not good enough! Joining our performance team means discipline, dedication, fitness, training, confidence boost, new friends and yes, the great training. Not only that but imagine getting in the best shape of your life. That’s right, I hope you see the value now. This is a 1.5 to 2 hour training class. It begins with drills for warm up and then it gets into learning the choreography. Everything is a bit more intense in these classes. 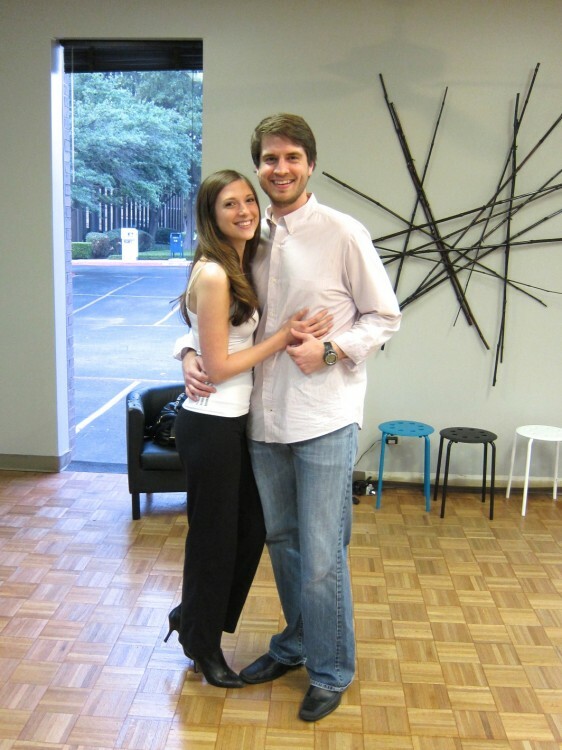 We want to help you look your best on stage or just a dance floor somewhere. These teams are normally 20 to 30 people mixed male and female. They are per season and each season can be up to 6 months or more. We will have the opportunity to not only showcase our show locally but Statewide or possibly Nationally. We let everyone know ahead of time or performances and it is optional to go on a trip or not. We understand busy schedules so no worries we will work with you and are flexible on those matters. Practices depending on the team can be either once, twice or up to three times a week. We increase practices a week before a show just to make sure we are fully prepared to perform. The directors are Karla and Sal and there is normally a team captain too that helps keep everyone focused and help answer questions. We currently have a Salsa and Bachata teams training in the Alpha Midway Dance Studio in Dallas. Are you curious whether to go to a Night Club or Dance Social? Are you wondering what is the difference between this too? The difference is actually quite huge! A social is normally done in a dancer friendly environment. As you can imagine the most important detail in this venues is a the dance floor. So the best adequate locations are dance studios. Serious dancers spend significant amounts of money on their dance shoes. Once you learn to dance your steps and movements get more intense, meaning bigger toll on your feet and body. A good dance floor and the right dance shoes helps minimize body aches the next day and will make a huge difference on the dancing ability. The second highest detail is the Deejay. The Deejays that are hired for the socials are usually well known and play music that is not necessarily on the radio or commercially popular but more mainstream and dancer preferred. Last but not least, a social is where the dancers go. You will get more people there that know how to lead and follow hands down versus a night club. Not to mention very unlikely to find creeps, drunks or people standing on the dance floor talking. 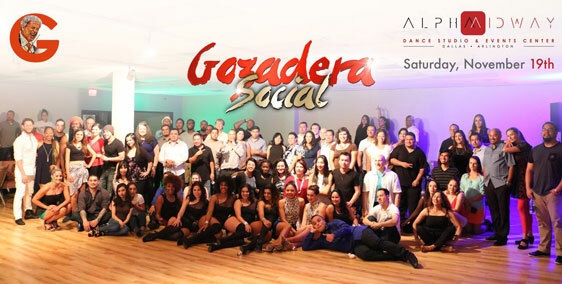 Most popular socials in Dallas, Pura Salsa every 2nd and 4th Friday and La Gozadera Social every 3rd Saturday. Have a gathering coming up and are looking into adding the best entertainment? We can help! we are not only dancers for hire where we can perform and teach but we can also help with DJing (with/without sound) and lighting. Let’s make it a memorable event for your guest. Call us to request a quote as we are very competitive on our affordable rates. Remember, it can be private parties, conventions, business meetings, Latino Heritage events, etc…. Call Sal at 972.400.1605 for more details and pricing!